Managing your sales floor and Course Materials are time consuming jobs, and your behind-the-scenes tasks can make your workday even longer. Booklog's extensive back office features give you efficient control over those duties that are so vital to your profitability and success. Make smart purchasing decisions and create orders quickly and easily. 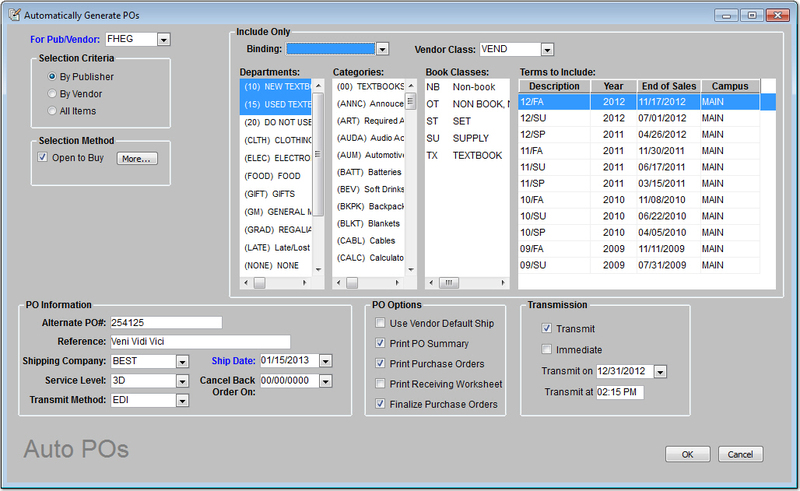 Auto Create POs by estimated sales, reorder point, quantity on hand, categories, or departments. 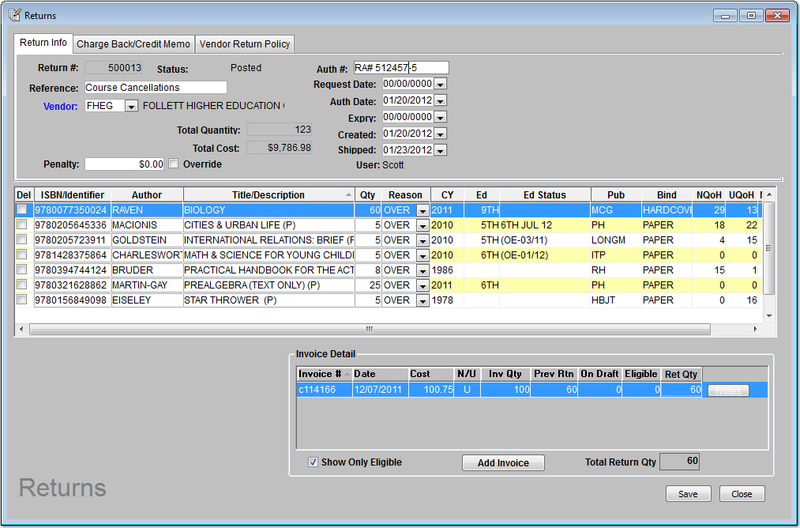 Want more precise ordering? 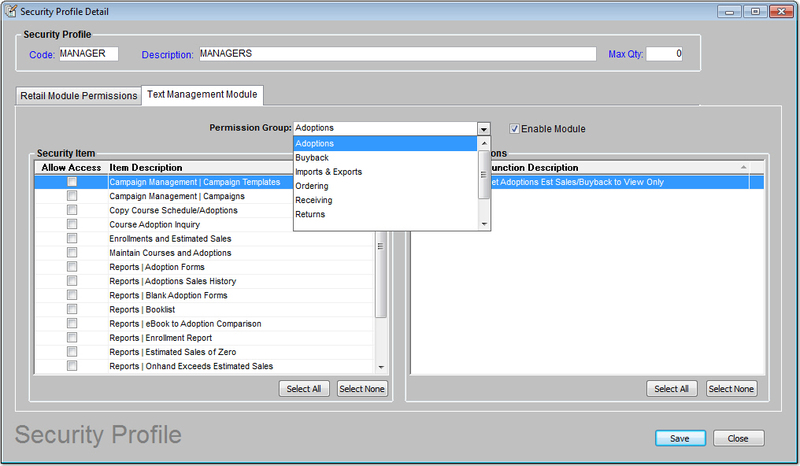 Use multiple calculation options to select items and quantities based on projected sales. 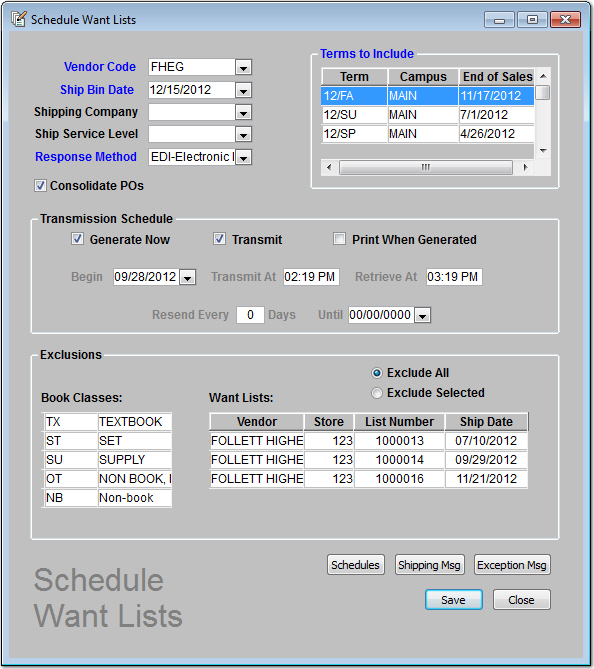 Create automatic want lists for wholesalers or schedule future automatic want lists. When damaged goods are received or you have to send back slow sellers, Booklog takes the guesswork out of building returns. Write offs help you remove depreciated or donated items from your inventory and record the reasons why and where those items went for future reference.